Tuned City Brussels – co-organised by Q-O2, workspace for experimental music and sound art is starting in collaboration with Sint Lucas Architectuur, Erasmus Hogeschool RITS/Radio, Sint Lukas Transmedia, a.pass and La Cambre (ENSAV) option Espace Urbain, with a series of lecture-events, artistic presentations, mini-residencies, university projects and workshops over the first half year. (see PRE-EVENTS) Those will be followed by an international four day festival from June 27th-30th mixing a conference with artistic realisations such as concerts, walks, installations and interventions in situ. Looking forward to see you in Brussels! 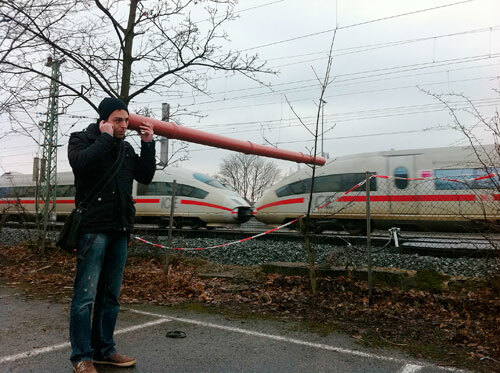 The project Klang Orte Berlin/Berlin Sonic Places - perspectives of acoustic city development was initiated by Peter Cusack in the frame of his Residency at The DAAD Artists-in-Berlin Program and explores our relationship with and the importance of sound in the urban context. From June to September 2012 Berlin Sonic Spaces will illuminate the issues through talks, discussions and performances. In 3 one day events the perspectives of different interest groups groups – artists, architects/planners, sociologists, musicians, residents, administrators, local communities and the public – will be brought together for a lively dialogue on the city’s changing soundscape. Three themed modules will be presented in three exemplary places – Pankow/Prenzlauer Berg, /Wasserstadt – Rummelsburg/Stralau and Tempelhof Airfield. They all explore the spatial and communicative potential of sound as a tool and a means of urban practice. 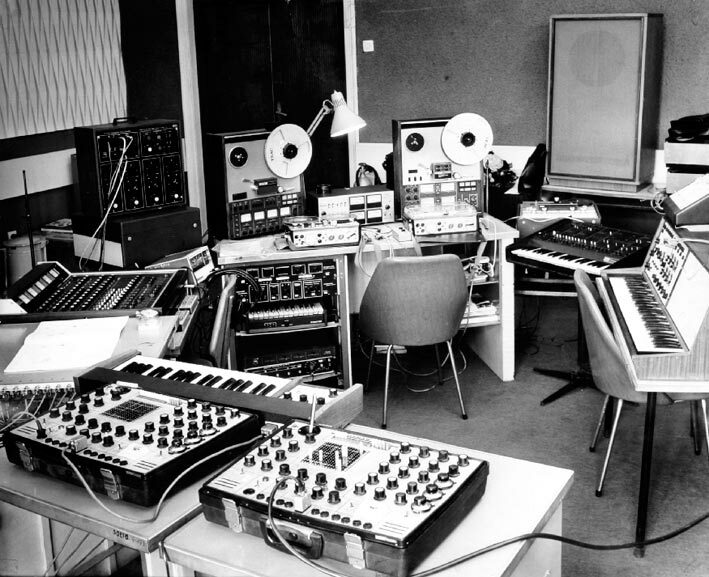 A cross disciplinary dialogue will be built that traces out the complex relations and interactions of space-sound by presenting and testing new strategies, methods and possibilities of sound work within artistic and applied contexts. The results of the Berlin research modules and the collaboration between Peter Cusack, Sam Auinger and students of UDK Sound Studies Berlin will be featured at Ars Electronica 2012 in Linz this September. 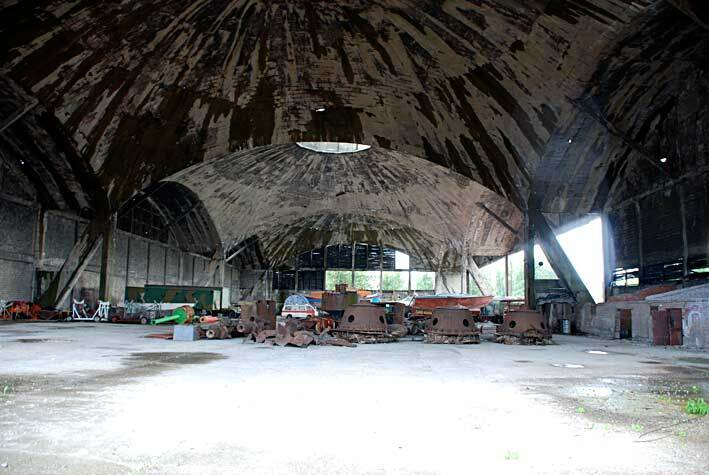 Klang Orte Berlin/Berlin Sonic Places continues the discourse started by Tuned City Berlin in 2008 and aims to develop it further in cooperation with the UDK Sound Studies and a wide range of local and international partners. The project is realised by dock e.V. in cooperation with The DAAD Artists-in-Berlin Program. I the frame of Wind as context - Wilderness Art Conference, Carsten Stabenow was invited to realize a site specific work for the soundroom/hai art project - a new space/residency place on the island Hailuoto in northern Finland. 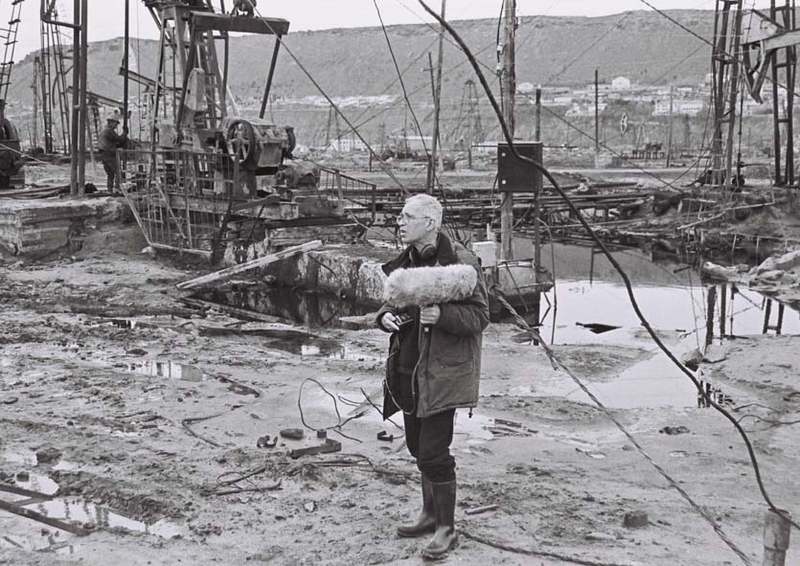 Reflecting on the location – the history of the place as an old pilot station/observatory as well as the local surrounding and it‘s climate conditions and peculiarities – the work approaches the festivals topic ‚wind as context‘ and experiments with the sonification of the environment. In the attic of the building long strings are installed, tuned to the resonant frequencies of the of the timber construction. A resonator/sensor unit outside on the roof picks up the constant wind-energy-caused micro vibration of the roof construction and renders the signal via small transducers to the strings. Between the strings and the timber roof construction a dynamic feedback loop is generated which is constantly modulated by the random wind energy. The whole space becomes a resonating structure like the body of a wooden instrument and one can observe the many phenomena occuring in vibrating strings - shooting sounds like in upper electricity cables for trains, rythmic frequency patterns ranging from a short reverb to longer echo sounds, higher pitched natural overtones, a rich variety of slides and frequency shifts. The work will be open daily over the summer between 9AM and 7PM. Wind as context - Wilderness Art Conference was an international research conference for organizations and artists working in remote and rural regions of the EU and furthermore. The conference explored the question of how contemporary and digital arts can be relevant within those areas and can be beneficial for local communities, visitors and artists alike. 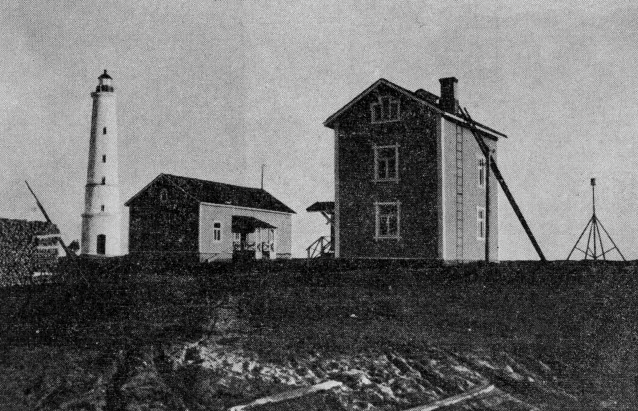 Hailuoto is an island in northern Finland located in the Gulf of Bothnia. Some impressions can be found here >>>. 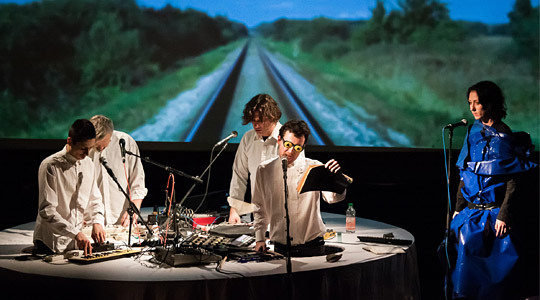 SOUND EXCHANGE embarks on the search for the roots and present-day experimental music culture in Central and Eastern Europe, which has a lively internationally linked scene of musicians, artists and festivals. Local traditions and their protagonists have, however, partially been consigned to oblivion since the fall of the Iron Curtain in 1989. SOUND EXCHANGE wants to ensure that these traditions can be heard again and to link them to current developments in local music scenes. You can find a documentation online at our tunedcity website. 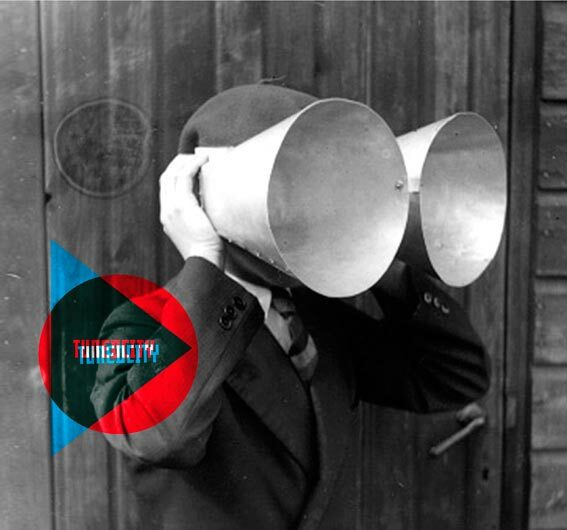 We are working on several new projects around tuned city. TUNED CITY COLOGNE workshop to take place over the next several months at KHM envisioned as a starting point towards the creation of a long term project aimed at ISEA 2010. For Tallinn 2011 (European Capital of Culture 2011) a tuned city edition is in preparation as well.